Alibaba only existed on the New York Stock Exchange for eight trading days in September, but it still managed to be the most searched stock ticker during the month. The Chinese e-commerce company benefited from an explosion of hype around its initial public offering, which raised a world record of $25 billion. Despite that fanfare, investors who hit the "buy" button on Alibaba (BABA) are likely staring at red ink. 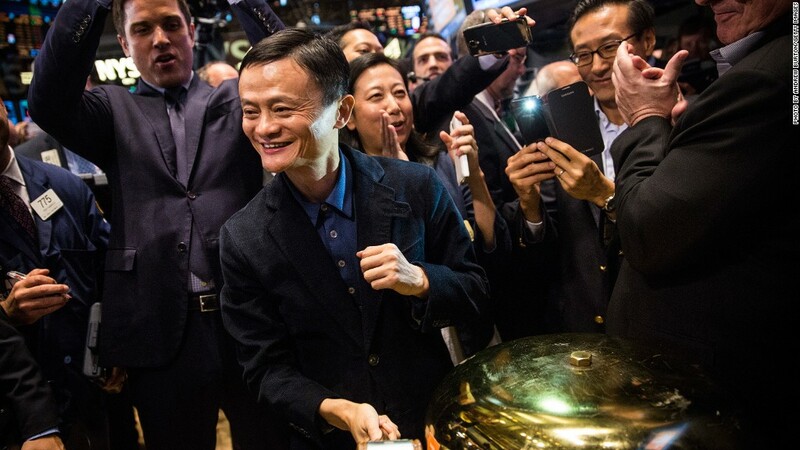 While insiders and VIP investors could buy Alibaba at its IPO price of $68, Jack Ma's tech behemoth hit the stock exchange at $92.70 due to heavy demand. Today, it's trading about 7% lower as global markets have stumbled in recent days. Still, Alibaba's "BABA" ticker symbol was the most searched during September on Capital One's (COF) ShareBuilder online brokerage, which has about 1.3 million active accounts.